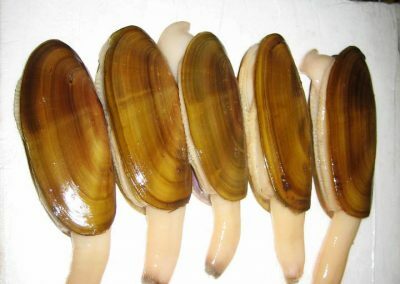 Our Pacific Razor Clams are similar to Geoducks with their similar firm texture, but they have more of a mild brininess taste to it. These razors are harvested commercially through limited digs using specialized shoveling equipment. These clams sell out fast so its best to call or reserve some in advance.